Another year, another STEM night. (Read more about Year 1 and Year 2). The theme of this year's event was EASY. Our family night fell during a really busy week in late fall, surrounded by field trips, student-led conferences, EdCamp Puget Sound, and a math training for many teachers. Easy, yet engaging, activities were critical in keeping my sanity due to minimal time and volunteers. Even still, we had a great night for about 50-ish families that was full of interactive STEM activities. The total cost for supplies and raffle prizes was less than $100. Students explored early animation using some index cards, markers, and a straw. Thanks to PBS Kids for this simple, yet fun, activity. 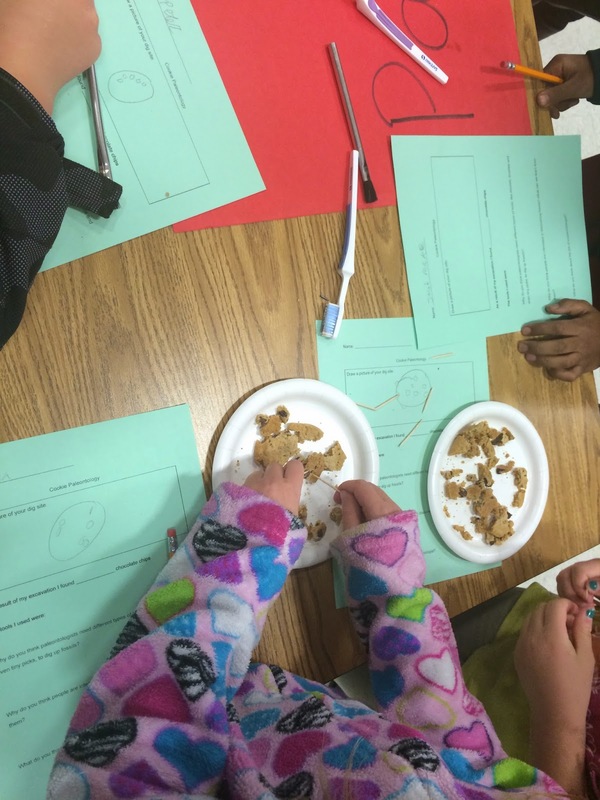 Students used chocolate chip cookies to learn about archeology and paleontology. They used tooth picks and toothbrushes to carefully excavate their chocolate, making sure to keep their cookie flat on a paper plate. Students were encouraged to make sketches of their dig site and record important information, such as the number of chips found on the surface vs. under the surface. This station was all about asking questions. After exploring the Hex Bugs, volunteers guided families in creating scientific questions. It was important to stress that not all questions could be answered that night, but that good scientists and mathematicians think about the world around them and ask thoughtful questions that take time to solve. In the future, I will leave tools out, like PVC pipes or stop-watches, for families to create mazes or conduct quick experiments. 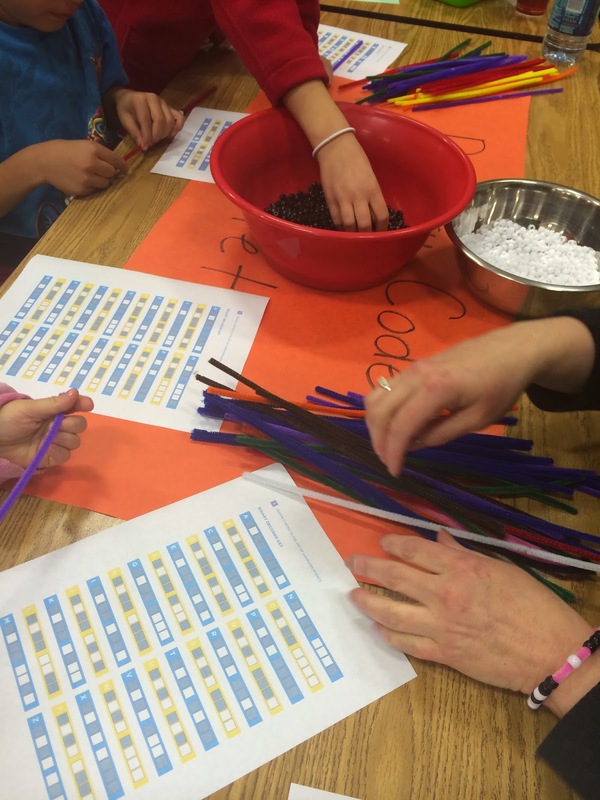 Students used pipe cleaners and black and white beads to write their initials in binary code. They used this key from Code.org. This one was a hit! 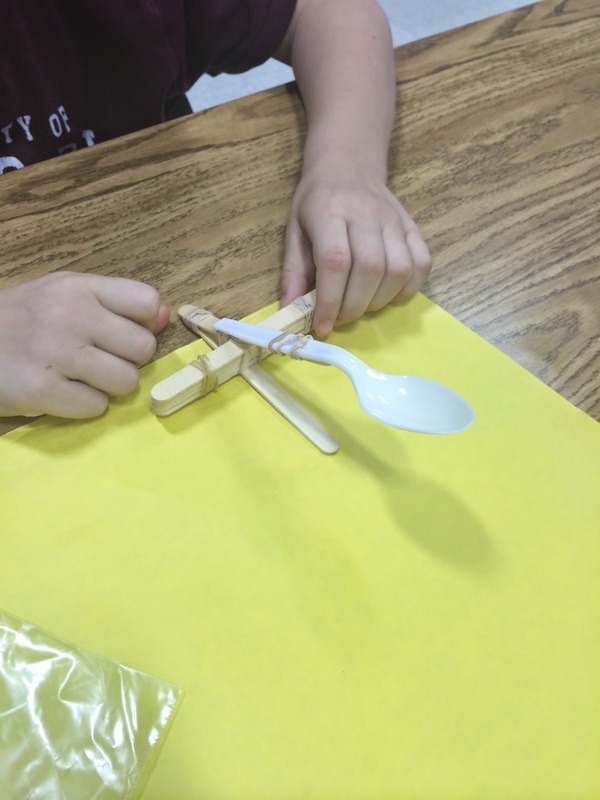 Families created catapults using simple directions and materials. 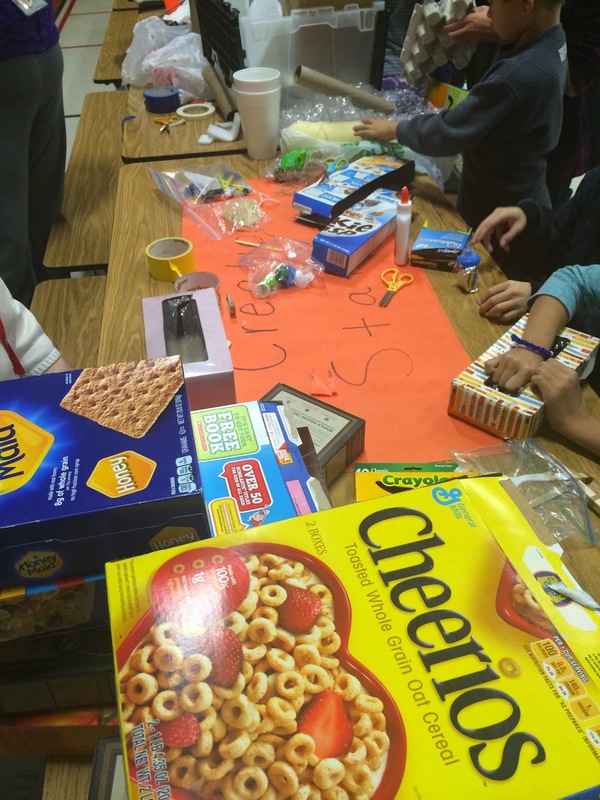 We created supply "kits" ahead of time so they could easily be made at our event or at home. Students enjoyed some friendly competition to see how far their puff-ball could fly. Using puff-balls is a good choice, as they don't fly too far and aren't sticky like marshmallows. In the future, I night provide a variety of choices beyond puff-balls (like small erasers) to see how weight factors into distance. I would also put out measuring devices for students to explore with, as well as make sure to include a smaller set of directions in the kits. This station was by-far the easiest to set up, and one of the most engaging! I took about 3 cardboard boxes and cut them up into 3" x 3" squares (roughly). Volunteers graciously helped me cut notches in the sides so the squares could connect with each other. The result is a fun, and deceptively challenging, building process! Families really liked this one! 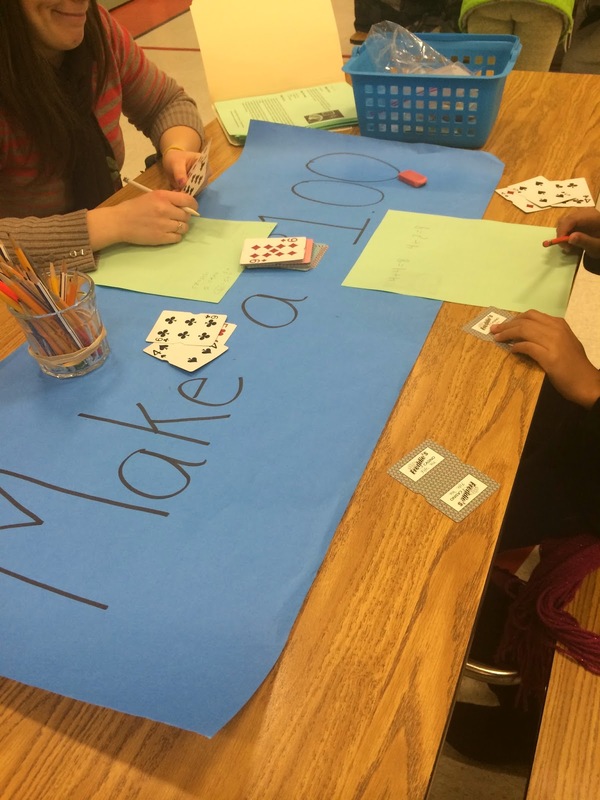 Students had fun with this game practicing money skills. Volunteers said this game was easy to differentiate, and families liked it was something they could easily do at home with a deck of cards. 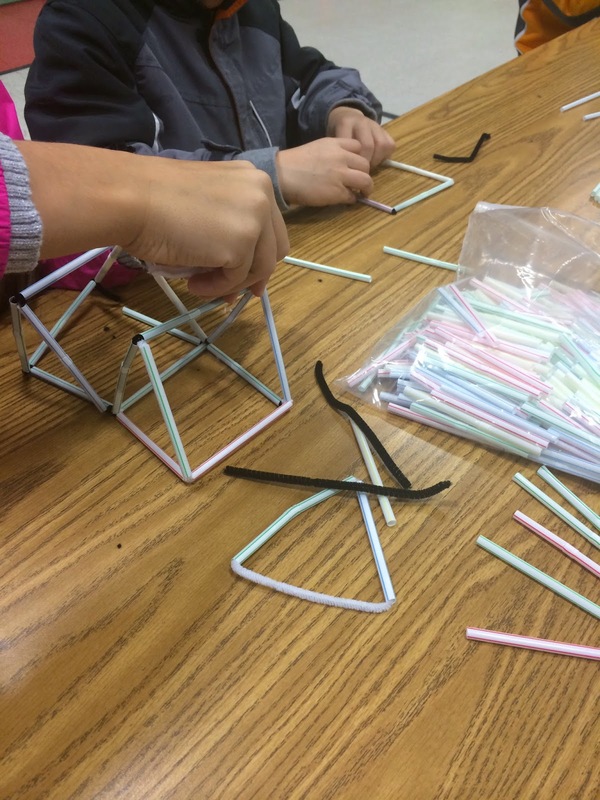 Last year I learned that all students really like pipe cleaners and straws - not just the littles. This year, they were happy to create all sorts of 3D shapes. This station required some persistence. Next time I will purchase more supplies so students can take them home. These were easy because I use them in my own classroom. I used the patterns found here. I cut out four different foam sets of the pentominoes for durability. The used different colors for each set, which helped volunteers easily keep track of pieces. My school is well-known for its environmental consciousness and "green" initiatives. What better way to support these philosophies than with a creation station stocks with all sorts of recycled materials. I started collecting cardboard tubes, boxes, lids, construction paper scraps, egg cartons, and plastic containers about a month before our event. I placed a large box outside my classroom door for teachers to drop in their recyclables. At the event, I added a few rolls of duct tape, glue, markers, yarn, and stickers to help aid creativity. The creation station was a popular place all night long! This was a fun (and easy!) Pinterest find. I used different colored craft sticks to create shape puzzles. Each set had the name of the shape and the number of sticks needed to create that shape. Our kinder teachers loved this one! 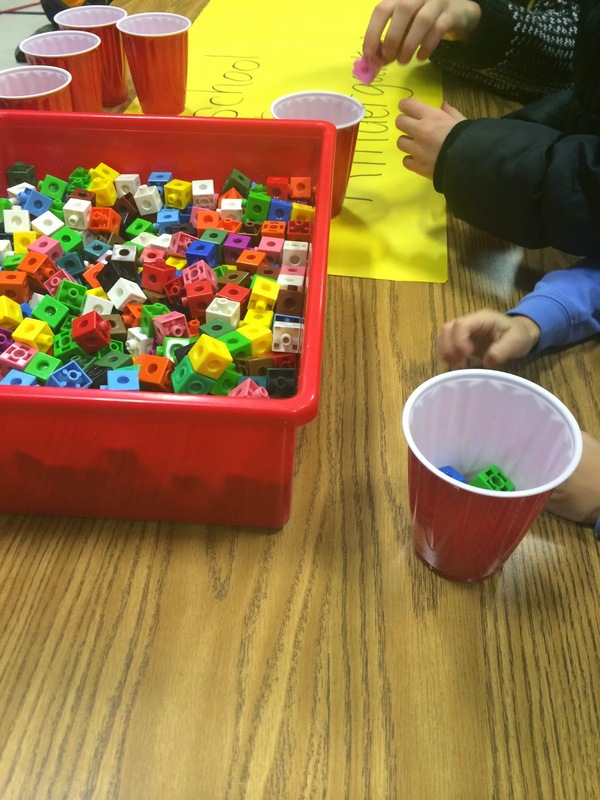 Kids rolled a dice and counted out manipulatives into a cup. I've found that simple building stations are always the most popular. 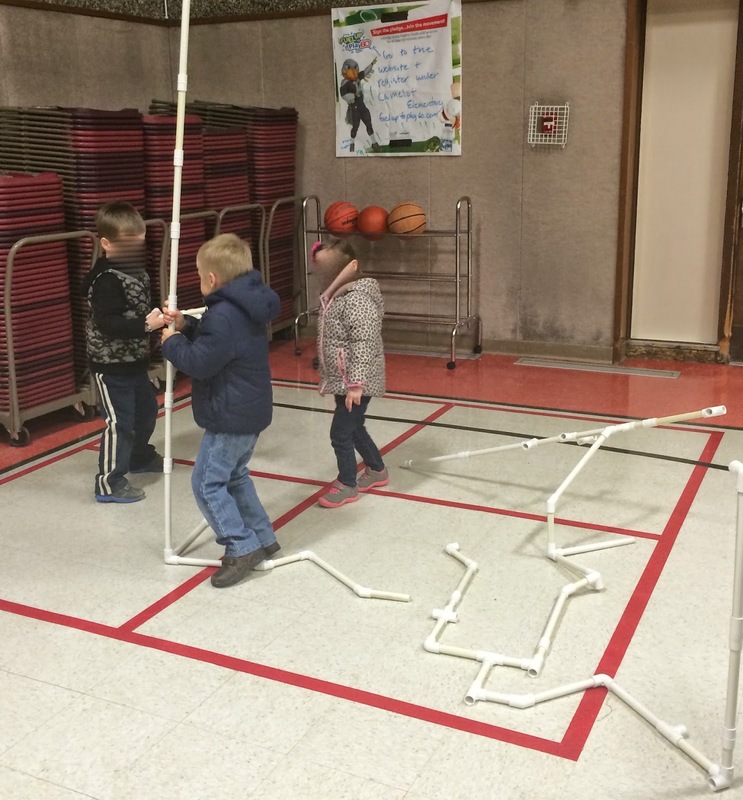 A kinder teacher loaned us her PVC pipes and kids had a blast putting tubes together and creating. While this station was meant for our preschool and kinder students, big brothers and sisters also had a lot of fun with this activity! 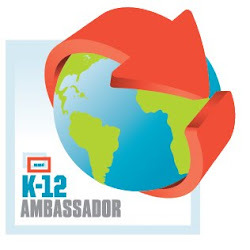 Now that I have three very different and well-planned STEM nights I am going to circle back to year 1. I have saved most of my work on a Google Sheet, which includes a shopping list and links to station information. 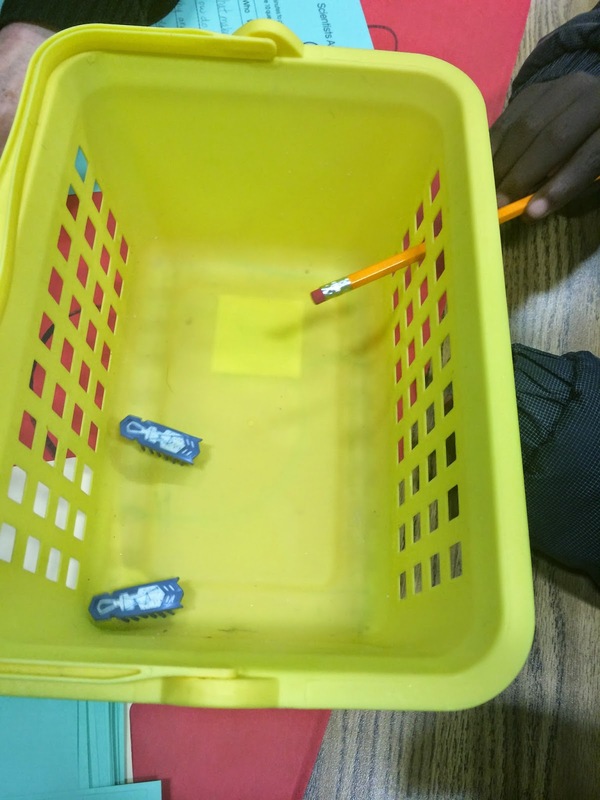 Other supplies, like games, are tucked away in a closet at school. When it comes time to plan next year's event, all that we will really need to do is make signs, make estimation jars, and gather volunteers. While it took a long time to initially plan each year's event, I know that I will be thanking myself down the road. 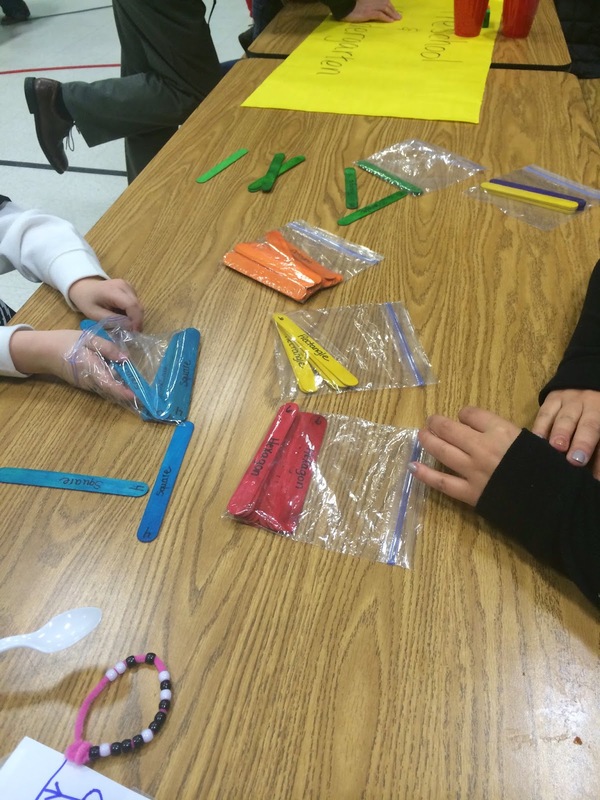 Have you planned a family STEM night? If so, what has worked for you? Hi there - I'm planning our first STEM night for this November. Very nervous and excited...appreciate the time you took to post your hints and ideas! Thanks! 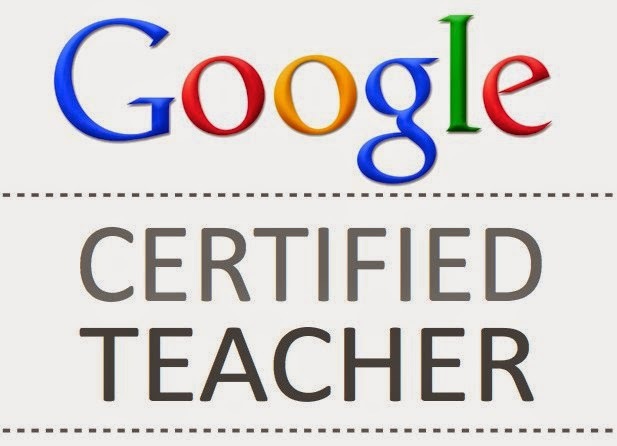 Would you be willing to share your google sheets? Hello and thank you for posting all of the wonderful things you have done! I also would like to know if you would be willing to share your Google sheet? We are hosting our first STEM night the first of April and would love to ask you some questions about the details of the night. Would you be willing to email me so we could talk?